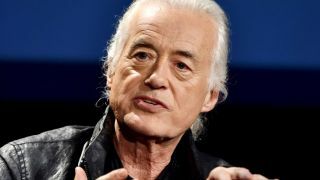 Jimmy Page has insisted that Led Zeppelin would never launch a plagiarism lawsuit against another artist – even though there have been times when they could have. The guitarist can’t discuss the issue in depth because the legal battle over classic track Stairway To Heaven is the subject of an appeal, and may return to court. A number of Led Zeppelin songs have been subject to ownership claims over the years, and the writing credits on several have been changed as a result. He cites the example of a bossa nova beat and says: “How would you define bossa nova? It was a whole jazz genre and it all starts with the beat. Page has said on many occasions that he’s aiming to return to performing live again, and he predicts that it’ll happen next year. He remains proud of his band’s legacy, including latest archive release The Complete BBC Sessions. “Led Zeppelin isn’t done yet, quite clearly, because every year since 1968 there’s been new fans,” he says. “The re-releases have more than doubled the amount of Led Zeppelin work out there. I wanted it done authoritatively, because I was the one writing the stuff, I was the producer and mixer.